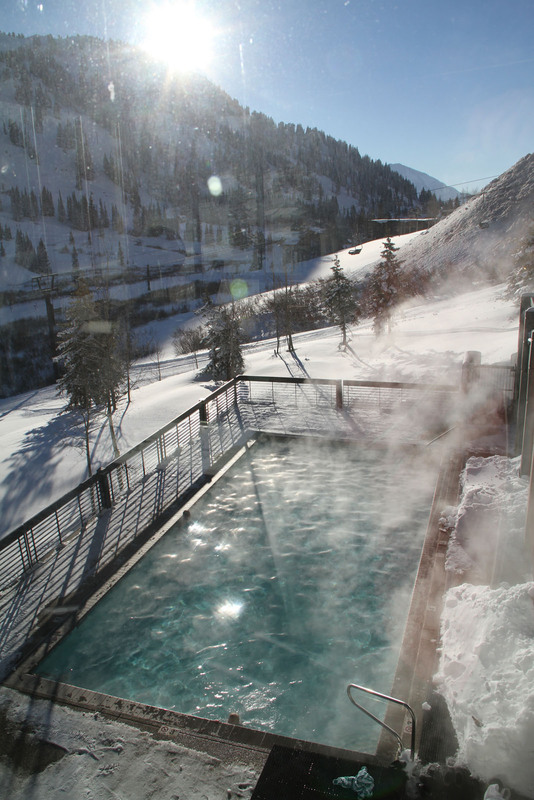 The Rustler Lodge at Alta is the ultimate in ski luxury. 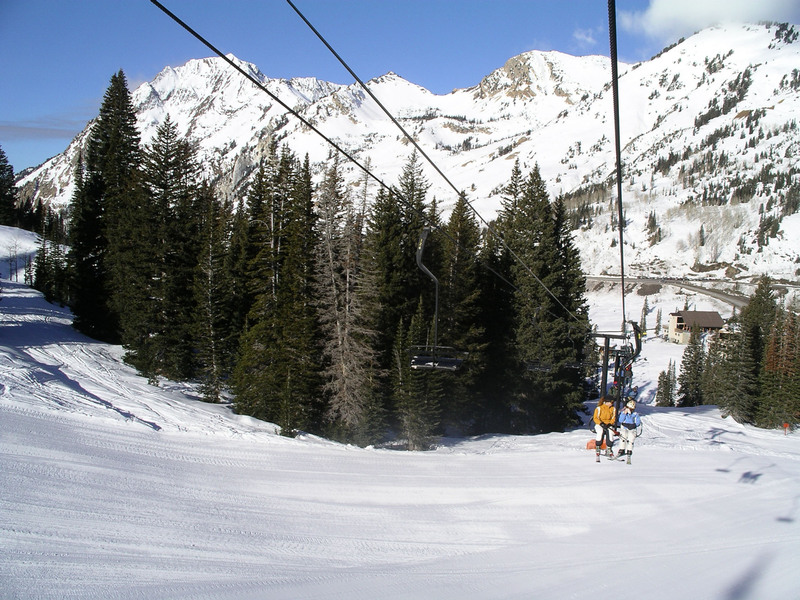 Big mountain skiing at your doorstep, often with deep Utah powder, and beautiful luxury ski lodging at the base of the slopes. 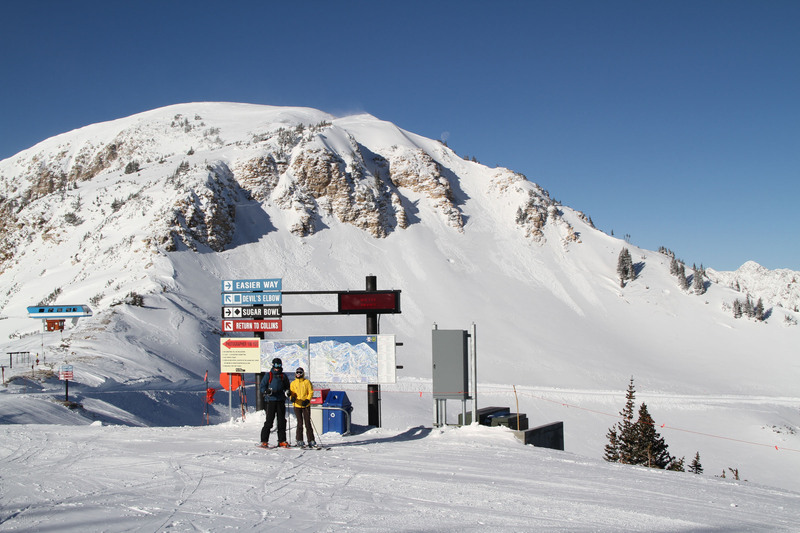 We love skiing Alta, and all skiers mountain steeped in history, no snowboarders allowed here, just core skiers. Alta is also super convenient, just 45 minutes from Salt Lake City airport, whether you drive Little Cottonwood Canyon or request a shuttle, yoru ski vacation is dialed in. 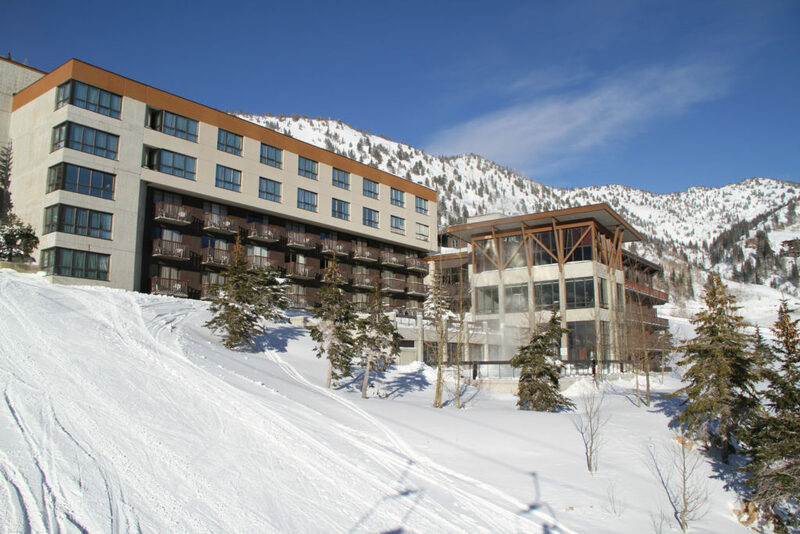 From the moment the valet parks your vehicle and stows your skis in a locker, you are in the lap of luxury and ski comfort. 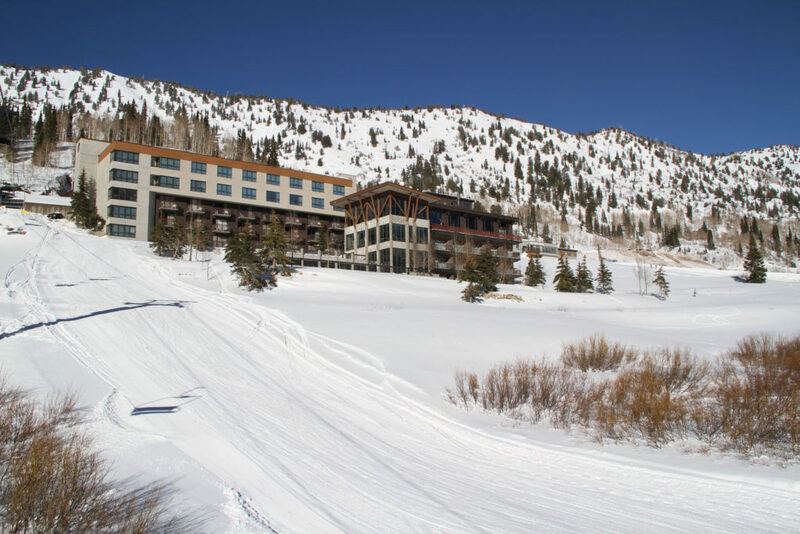 Rustler Lodge is the best at Alta, nothing else compares, and everything is included in your room rate, ski tickets, a full buffet breakfast and a gourmet dinner made by the Chef each night in the ski slope view dining room. 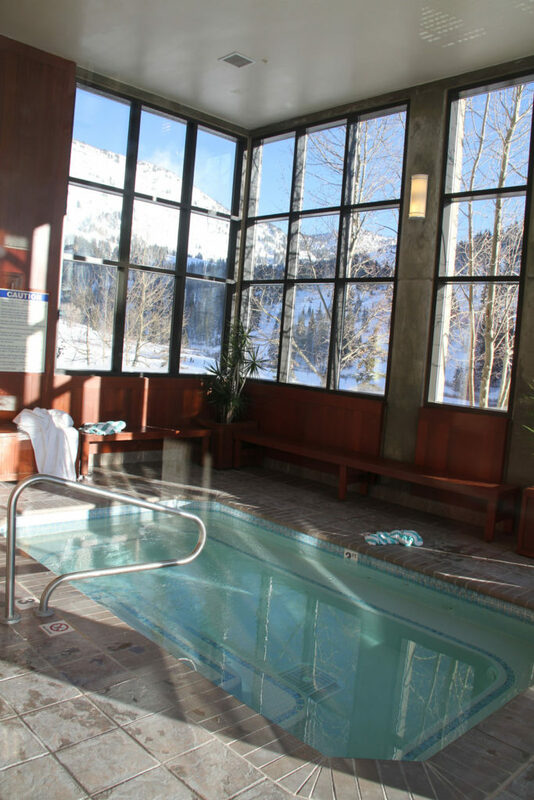 Ask for a Rustler Superior Room, the best among the 85 guest rooms and suites, these spacious corner suites are grand, with great ski views, fireplaces, gracious furnishing, couches, and a soaking tub in the big tiled bathroom. 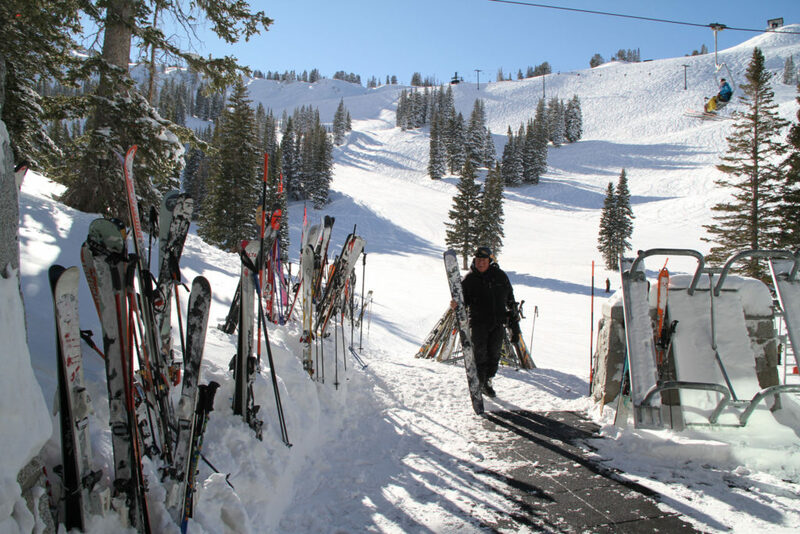 Everything is taken care of, and included in your Rustler room rates, even ski tickets if you wish. 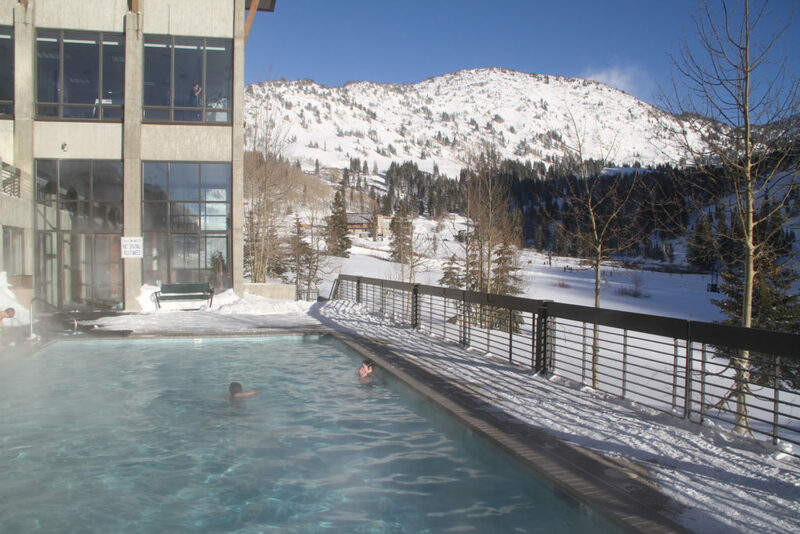 Rustler’s outdoor heated pool is steamy with a slope view, the best in Utah. 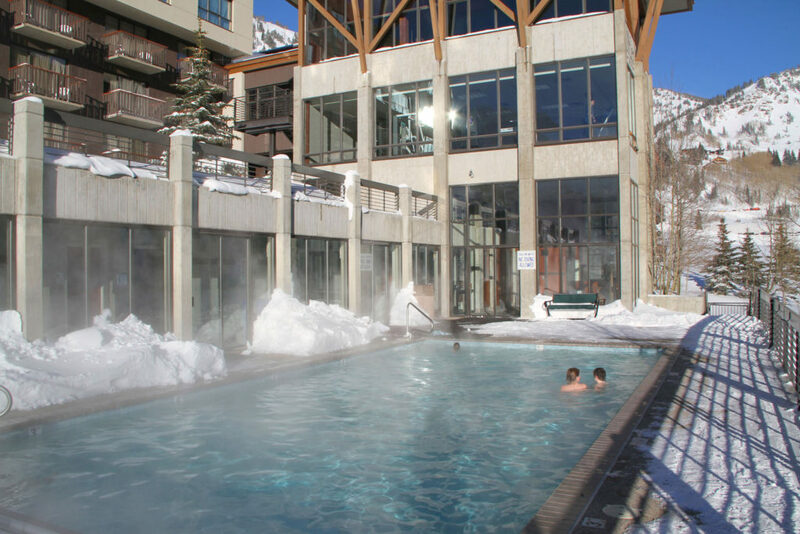 There are indoor and outdoor hot tubs too. Après Ski at Rustler, enjoy complimentary hors d’oeuvres by the fire in the Eagle’s Nest Lounge looking up at the Lodge’s namesake trail – the legendary High Rustler. 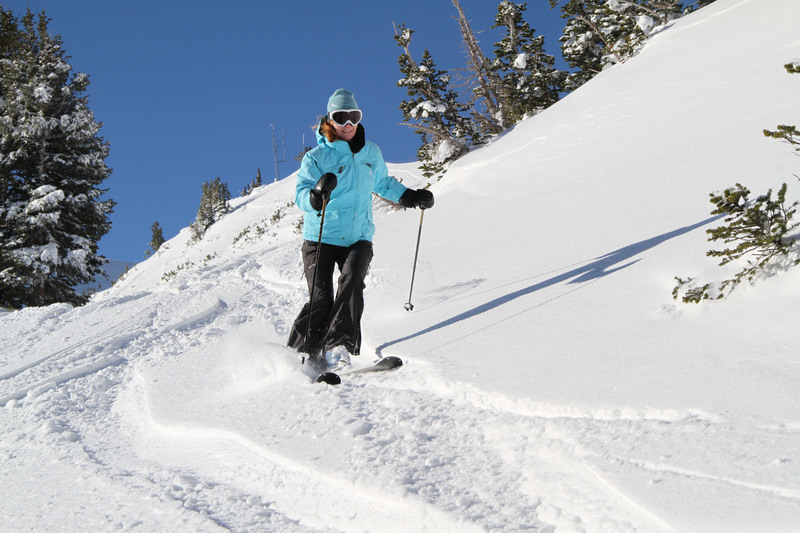 after you have soaked in the. 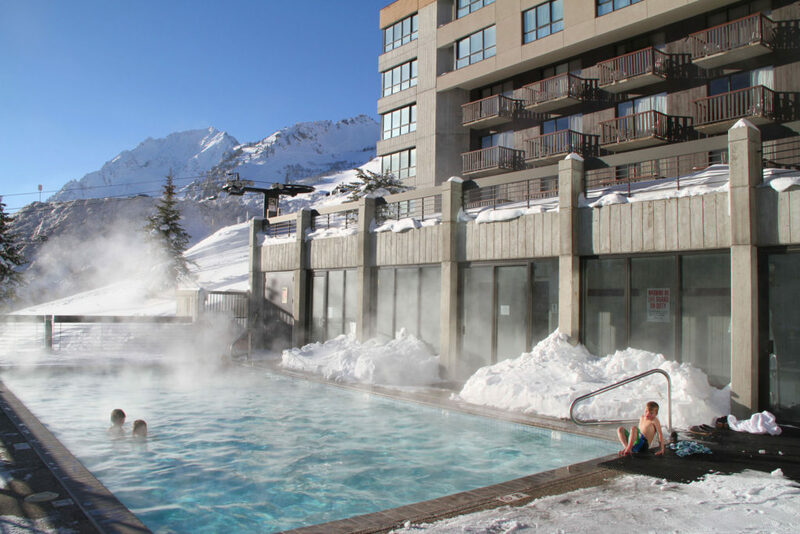 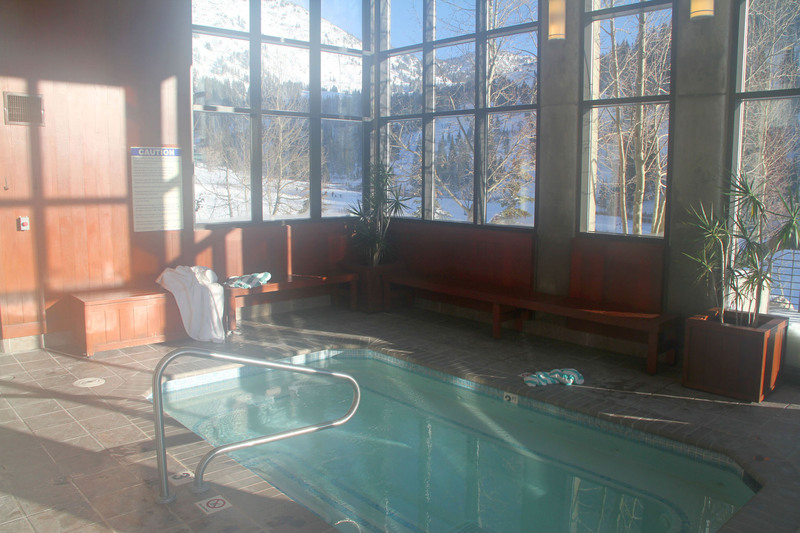 After skiing Alta’s 2,200 acres of unrivaled terrain, plus Snowbird’s interconnected 2,500, you certainly don’t need to work out, but Rustler Lodge has a beautiful slope view fitness room, and a spa with massage treatments, a eucalyptus steam room, and sauna too. 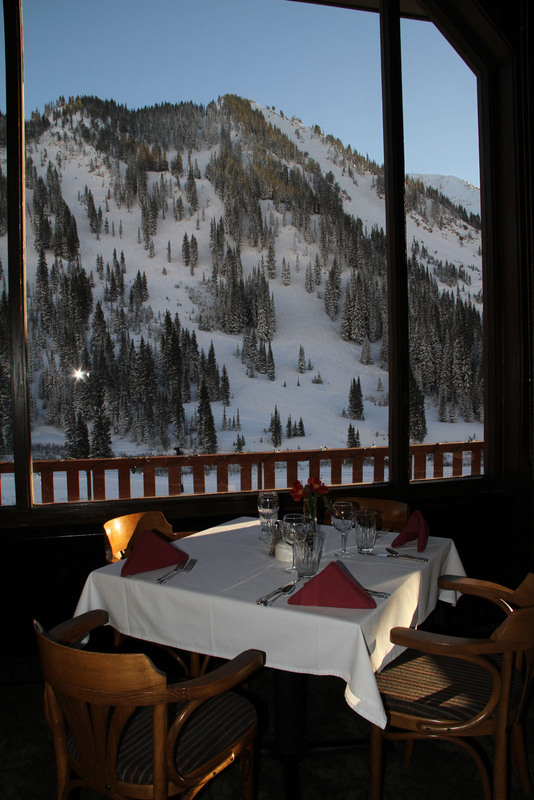 Dining at Rustler Lodge in the evening is an event, the best restaurant in Alta. 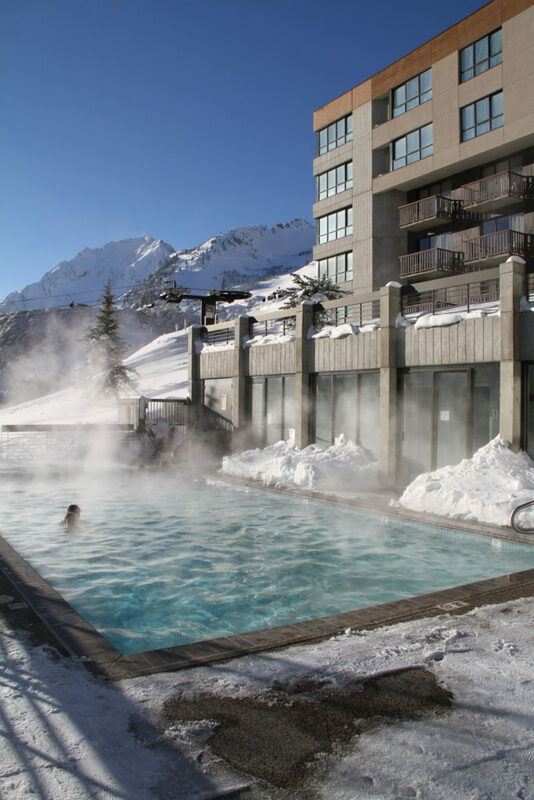 A fabulous foru course menu features local trout or lamb, soups, starts and decadent desserts you deserve after skiing Alta’s vast high alpine terrain. Guests gather in the lounge, by the bar, and socialize over games and stories by the fireplace. 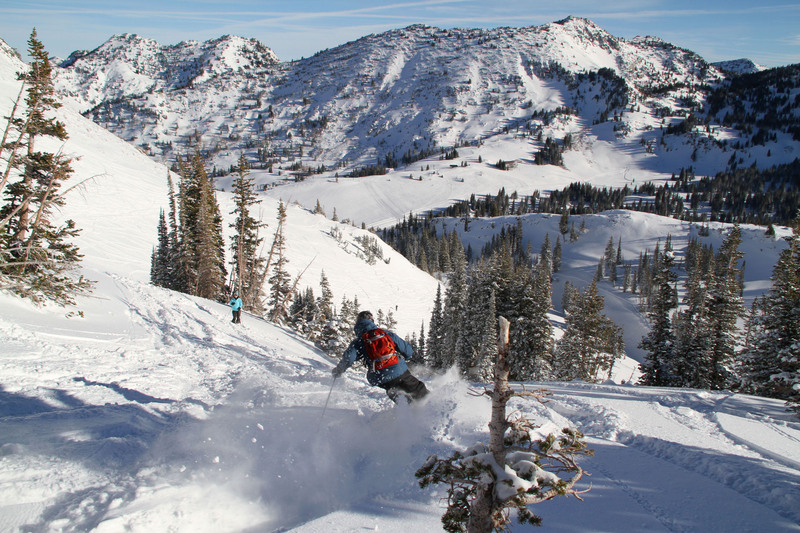 That’s a pretty perfect end to a great Utah ski day on the trademarked greatest snow on earth. 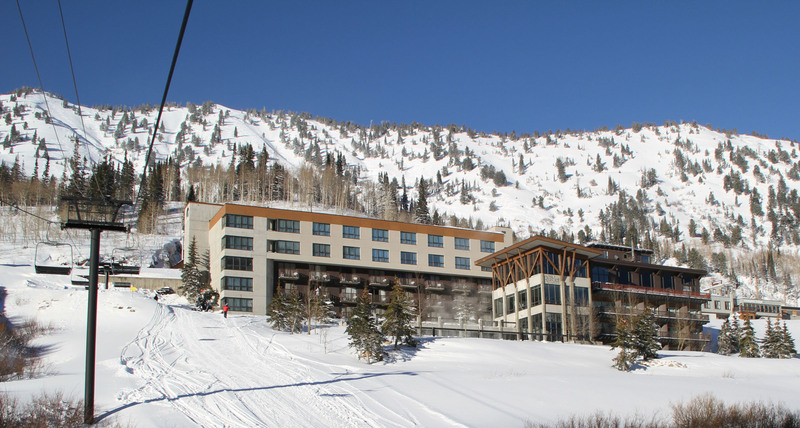 The Rustler Lodge gets 5 stars from us, for ski in ski out luxury lodging in Utah.